Dubai-based airline Emirates is set to launch a fourth daily flight between the emirate and Johannesburg from October 26. The addition boosts Emirates’ total number of scheduled flights between the UAE and South Africa to 49 a week, said a statement. 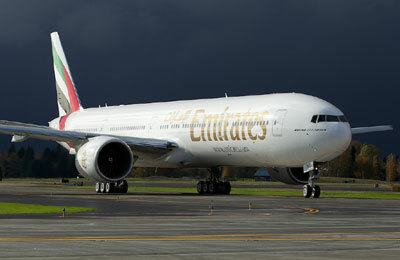 Emirates also services the cities of Cape Town and Durban in South Africa, it said. Orhan Abbas, senior vice president, Commercial Operations – Latin America, Central and Southern Africa, said: “We are introducing our fourth daily service between Dubai and Johannesburg to meet the growing passenger demand for flights between these two important business and tourism hubs. The increased frequency gives our customers greater flexibility in their travel plans and enhances connectivity to other flights on the Emirates network through our Dubai hub. “Johannesburg remains an important gateway for inbound traffic and we are pleased to provide more connectivity options to our customers, especially those from the GCC, Middle East, the UK, US, Germany and France. The fourth daily flight will also enhance connection convenience for outbound passengers going to India, Pakistan, Singapore, Malaysia, Bangkok and Jordan, Qatar and Iran,” he added.